As for the question of the week, I come down in favor of including Yasiel Puig in the All-Star Game, despite his scant time in the majors. The purpose of this event is to market the sport to a wider audience, and I've argued for a long time that doing so should mean including one or two young/rising stars in each league who may not qualify until we take their age or potential into consideration. Even if you think Jose Fernandez is a bit of a reach this year, he's a strong choice because he's a rising star, just 20 years old and one of the top 15-20 starters in the league already. Puig won't hit .400 the rest of the year, of course, but he's showing a ton of ability, he's an exciting player, and he's already got all of baseball -- including the casual fans MLB is trying to hook further through this game -- talking about him. Adding Puig to the NL roster to join Fernandez while putting a top rookie, such as Oswaldo Arcia (hitting .283/.347/.451 at age 22 this year for Minnesota), on the AL roster alongside emerging star Machado would help broaden the game's interest while showcasing part of the next generation of MLB superstars. After all, it only counts if people watch. Does Puig, or even Ramirez, deserve to be an All-Star after playing just 31 games? Absolutely not. They haven't even played in half of the Dodgers' games this season, going through the daily grind, the aches and pains, and, yes, that exasperating, mentally draining slump. Then again, Puig will almost certainly be wearing a National League uniform at Citi Field next week, as he's a heavy favorite to win the online voting for the final roster spot for the NL team. You can be sure Fox-TV executives are rooting for the kid, refreshing their browsers until their fingers are raw. If you have a great three months, by all means, veteran players and managers say, you deserve All-Star consideration. If you have a great month, get back to us next year. "If he's not an All-Star this year, he's going to be an All-Star for years to come," says San Francisco Giants manager Bruce Bochy, who passed on selecting Puig in his role as the NL manager. "But I do think you have to play enough to earn a spot on the All-Star team." And it's a viewpoint shared by most managers, if not all of them. "The All-Star Game should represent guys who have had a strong full season," Cardinals manager Mike Matheny says, "Guys who have been there day in and day out. I'm a big fan of that. Is there anything wrong with that?" Rookie sensation Yasiel Puig, who has revitalized the Los Angeles Dodgers, should be voted in as the last National League All-Star when the fans decide The Final Five voting. After collecting 842,915 votes in a month as a write-in candidate, he should have little difficulty defeating Atlanta’s Freddie Freeman, Washington’s Ian Desmond, San Francisco’s Hunter Pence and teammate Adrian Gonzales for the final spot. Online voting ends Thursday. The 22-year-old Puig, who had 44 hits in his first 100 at-bats after making his debut on June 3, is currently batting .407 (50-for-123) with eight home runs and 19 RBIs and a 1.118 OPS (on-base percentage plus slugging percentage) in just 31 games. It would be even higher if he walked but he has only five so far. He became the first player to earn National League Rookie of the Month and Player of the Month honors in his first month in the majors. 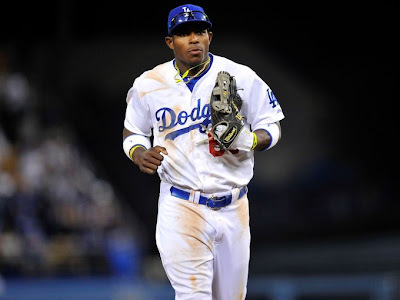 In a recent Fox telecast, long-time analyst Tim McCarver, a former All-Star himself, claimed that, despite Puig’s numbers, 80 percent of the players would not support his inclusion in the game because he would be taking a spot from someone who had played the entire year. National League Manager Bruce Bochy has expressed similar thoughts. 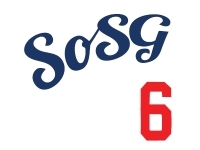 The fans will do the right thing and vote Puig on to the squad this week. What needs to stop is the so-called experts saying he doesn’t belong. Baseball, more than any other sport, is a gold mine of stupid arguments with no clear winners. Whether Yasiel Puig is an All Star is just the latest opportunity for people to yell at each other. Putting aside the ridiculous "deserves it" argument for a contest won primarily by the teams with the best ballot-stuffers, the six million other ways a player can be named to the game (Puig is part of The Final Vote and if that doesn't work he could be an injury replacement like Bryce Harper last year) and, finally, the pseudo-significance of the game itself—putting all that stuff aside—ask yourself this question: do I want to see Yasiel Puig play in a baseball game? Yes. Yes I do. You see, I am going to watch the All-Star Game. There's no good reason, really, but it's a baseball game of bare-minimum importance in the middle of July—I've watched a shitload of games just like it, with the only difference being the number and quality of the names involved. What's more, because of the nature of this particular July game, I could potentially see Yasiel Puig play baseball at a reasonable hour—something us east-coasters don't often get to do—with Joey Votto and against Felix Hernandez. There's got to be some high degree-of-difficulty mental gymnastics at play to consider this a bad thing. As of this writing, MLB.com says Freddie Freeman holds an edge over Puig in the voting. VOTE PUIG. "The All-Star Game should represent guys who have had a strong full season"